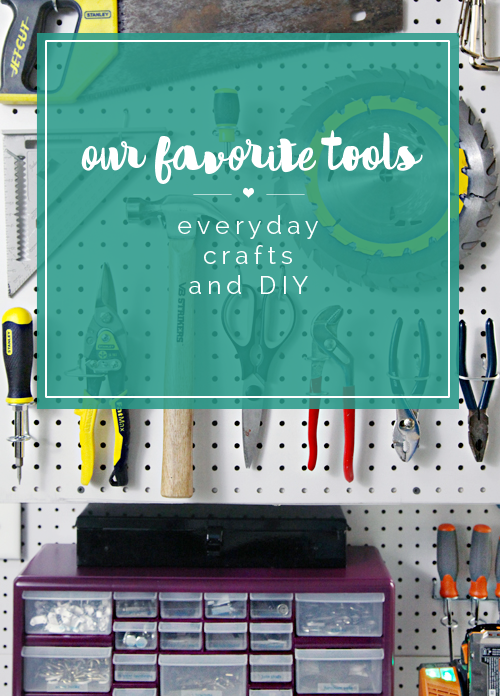 With the number of questions and inquiries we have received regarding our favorite DIY tools over the years, it is crazy that it has taken me this long to compile a post on that exact subject. 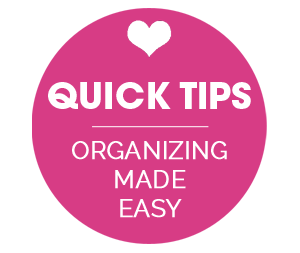 We are a mixed bag of big projects (knocking down walls, installing floors, building storage and furniture....) and smaller, crafty DIYs (drawer organizers, decorative boxes, labels, memo boards....). 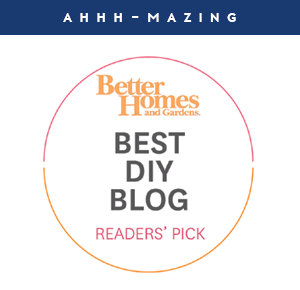 Why we opt to DIY really varies from project to project; sometimes it allows us to create something bigger and better on a tighter budget, and other times it allows us to create something custom to exactly fit our style and needs. Our tool arsenal has grown over the years, however, there are a few specific items that we find ourselves reaching for time and time again. Bryan and I sat down and came up with our top, "couldn't DIY without" products for everyday, crafting and DIY. We thought about the things we use most frequently, as well as the items we would purchase first if we had to start from scratch all over again. 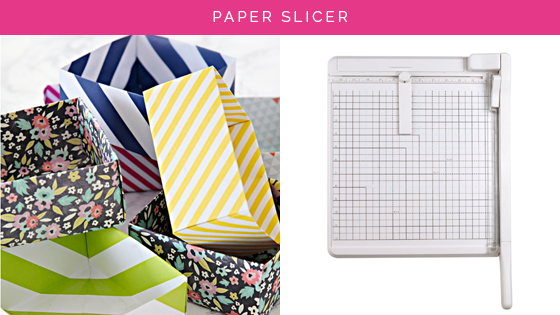 I utilize a paper slicer for cutting paper of all sizes, typically 12" x 12" sheets of scrapbooking paper. I also reach for my paper slicer when working with rolls of vinyl, making labels and cutting liner for smaller drawers and dividers. The slicer offers quicker, straighter cuts than I ever would be able to make myself with scissors. There aren't very many organizing projects that happen without the help of my Silhouette. What I love most is that it has the ability to make vinyl labels, which look professional and seamless on just about any drawer, bin or jar. 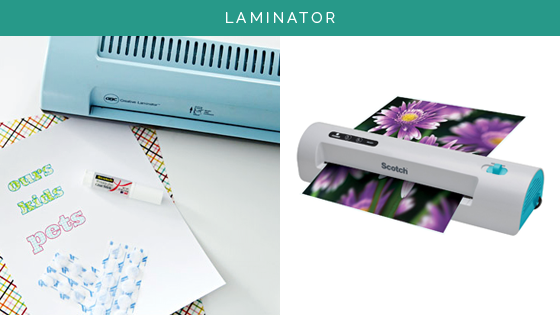 It also offers a print and cut feature which is fantastic for sticker labels. 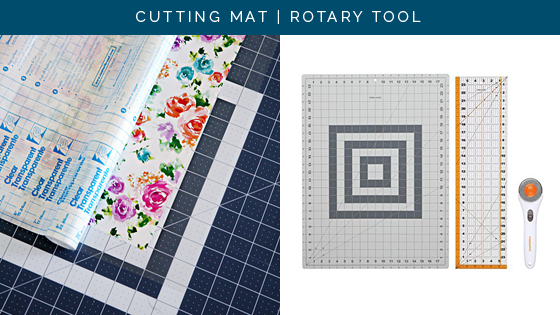 The die cutting tool also has the ability to be paired with a variety of specialty papers to create projects out of gold foil, glitter and even iron-on fabric. In my opinion, the Silhouette is one of the most versatile craft tools around. I surprised myself with this one, but I do love my iron for a variety of small projects. 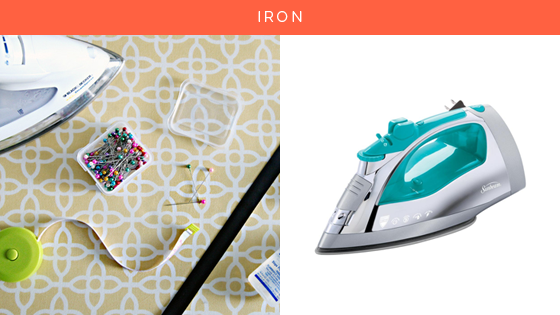 Because I don't always get along with my sewing machine, an iron comes to the rescue with a slew of "no sew" options. I have done iron-on labels, new sew pouches and fabric covered boxes all with the help of this standard household tool. Although the obvious use for these brushes is painting (which I love), I also reach for them for projects that include gold leafing, gilding, and decoupage. 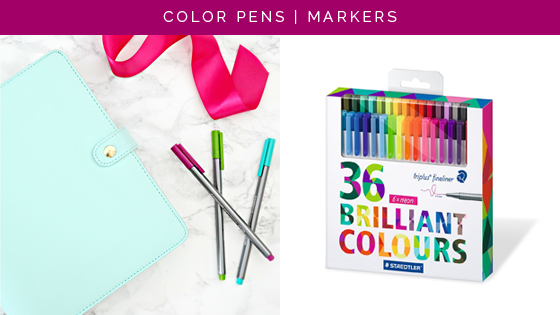 I am able to get my daily color lovin' fix by using fine tip markers for writing notes, making labels and filling out my daily calendar, planner and to-do lists. 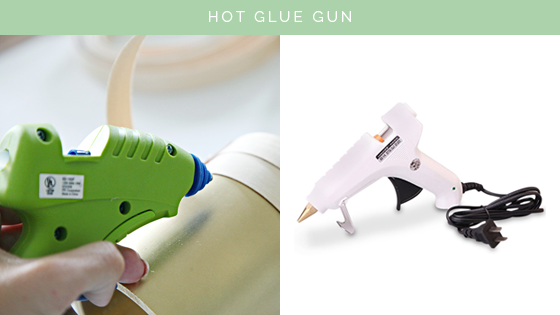 Hot glue is great for working with rope, upholstery trim, labels, and just about any other small fabric or paper craft. I reach for my glue gun before I reach for the bigger tools, and typically am surprised about the amount of hold is provides. My laminator basically acts as an insurance policy for my projects, especially when kiddos are involved. 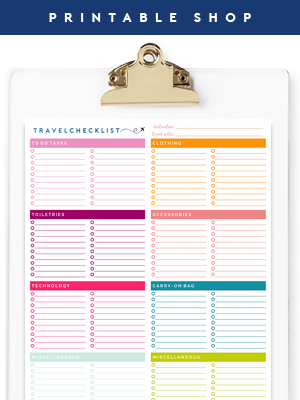 Most often I laminate labels to ensure they last for the long haul, but I also find myself laminating checklists (allowing them to be reused), as well as smaller drawer liners and the covers to my spiral-bound planners and notebooks. 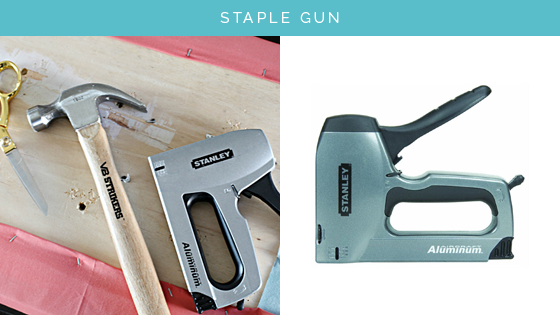 I generally use my staple gun for upholstery projects (playroom benches, dining chairs, headboards, stools, etc...), but it can also act as a fastening tool for small woodworking projects. 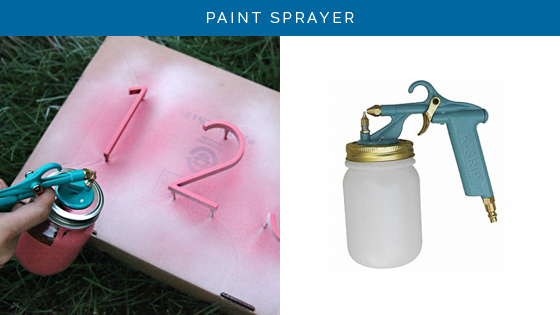 If you love to spray paint, you will love having a small paint sprayer. This spray gun gives you the ability to turn any color paint into a spray paint, and it covers smoother than any brush or roller. Sprayers also provide consistent coverage and allow for you to get into awkward spaces easier than with typical painting tools. Now that you have my top ten, I am turning the mic over to Bryan to find out more about his top ten woodworking tools. 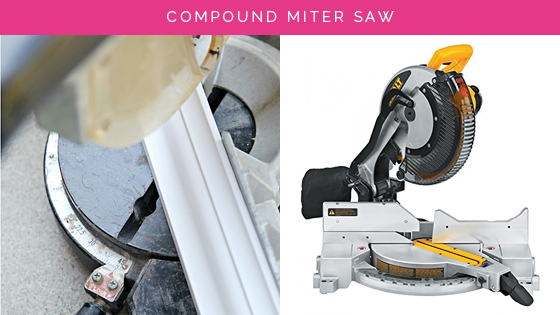 Our miter saw is used for the majority of our woodworking projects, generally for cutting wood at specific angles. An invaluable tool for cutting trim and moulding, it is also one of the quickest ways to make any clean wood cuts. Just getting started with DIY? A miter box is a great alternative for smaller woodworking and moulding projects. 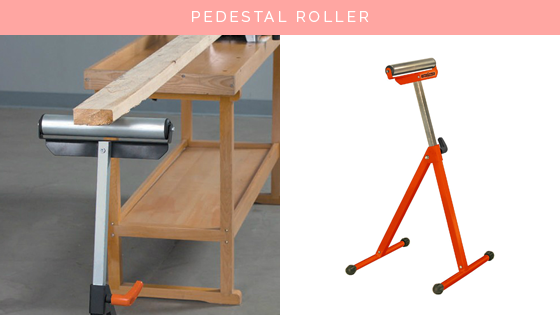 The pedestal roller offers support and acts as an "extra set of hands" while working with longer or larger pieces of wood. This tool provides the ability to create seamless exterior finishes by hiding the screw hardware inside of "pockets". 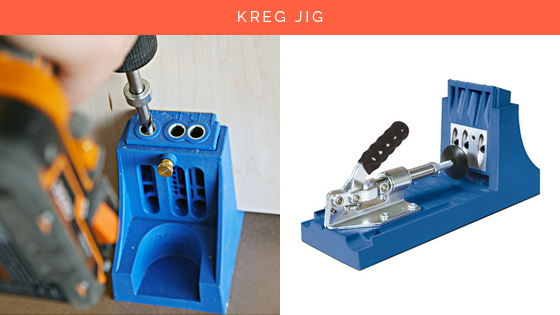 A Kreg Jig is perfect for building boxes, cabinets and other decorative furniture in which you do not wish to see the fastening hardware as part of the end result. A cutting guide is a carpentry tool designed for use with circular saws or routers to create accurate cuts over long distances. 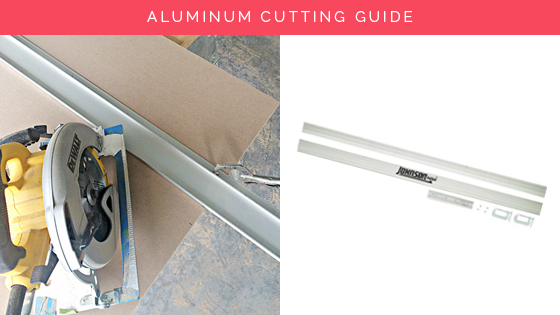 Although you can substitute a straight piece of wood or trim, the aluminum guide offers a sturdy, reliable and straight edge each and every time. Rarely a day goes by where we don't reach for our cordless drill. Perfect for projects big and small, it can do everything from tightening furniture and hanging window hardware to constructing a full wall of built-ins. Sure, a screw driver can work, but your hands will be grateful for the ease and quickness this tool provides. 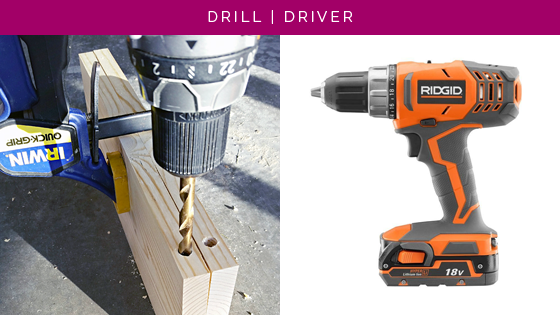 Pair it with a "drill-flip-drive" bit and you can switch between your pre-drill and standard drill bit in one swift motion. 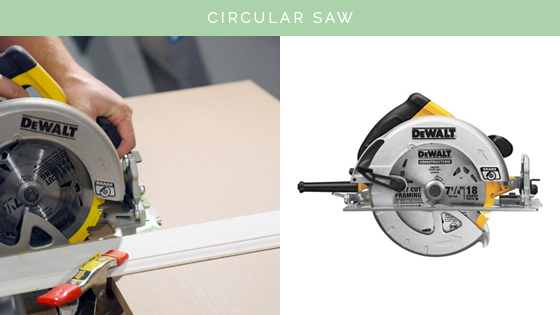 A circular saw offers portability and flexibility with your cutting projects. When paired with saw horses and the aluminum cutting guide we shared above, it can take the place of a standard table saw. Although we have a table saw tucked in the corner of our garage, we gravitate towards this tool due to the ease of use and the overall flexibility it provides. Blades can also be swapped to be used with wood, stone and metal. The squeeze clamp can expand to fit both small and large projects and offers padding to protect the wood finish. The squeeze option allows you to quickly set the clamp in place, it also comes with a quick release to protect the integrity of the project when removing the clamp. 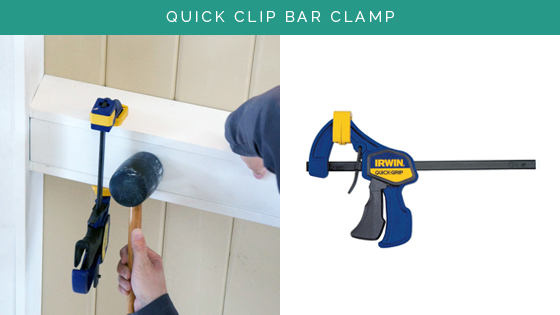 The clamp itself either acts as another set of hands for cutting or drilling, or holds wood pieces in place while your glues/adhesives work their magic. 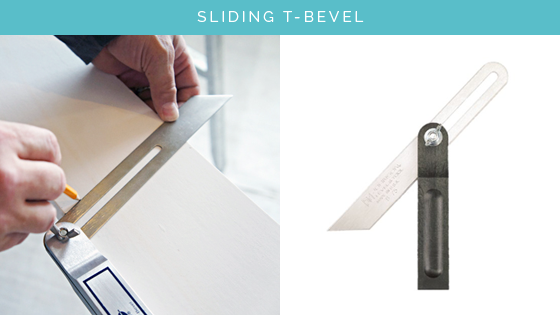 The T-bevel has a movable blade that allows you to copy any angle, from 0 to 360 degrees, and transfer it onto other surfaces such as moldings or lumber. This was a jumbo sized time saver for us while working with awkward ceiling and flooring angles. 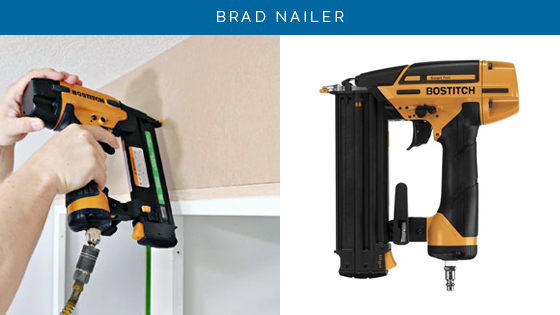 Brad nailers utilize finishing nails, which are tiny in comparison to standard screws/nails. The small size of the nails makes this tool ideal for a magnitude of woodworking and trim projects in which you wish for the fastening hardware to be concealed (with wood putty or painter's caulk). 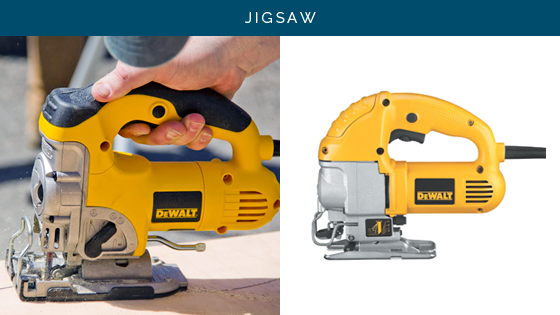 All nailers will need to be paired with an air compressor, which provides the force to the tool. All of our trim work, crown, planks and moulding have been completed utilizing this fabulous piece of equipment. Now watch me jig, and watch me nae nae.... No? Oh boy, my kids just hid in embarrassment... Anyway, we do like to do a little jig for this jigsaw tool, because it provides endless creative flexibility for cutting and shaping wood. Generally used for creating curved wood edges, it can also create intricate shapes and designs, even decorative typography. The small blade is the key to allowing the cutter to go places typical saws cannot reach. These blades are also interchangeable for cutting a variety of materials. 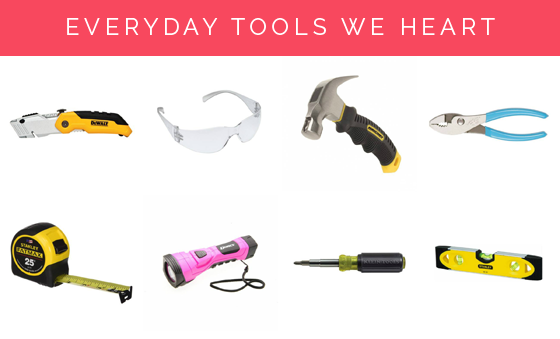 So there you have it, our absolute favorite tools and supplies. 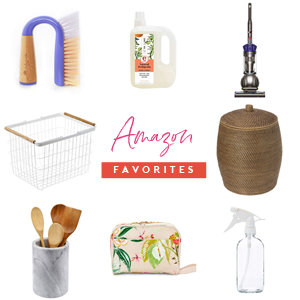 Each one of these tools make really wonderful Christmas, birthday and house warming gifts for others, or even for yourself! The majority of them are so wonderfully versatile and can be used for an endless array of projects for years to come. 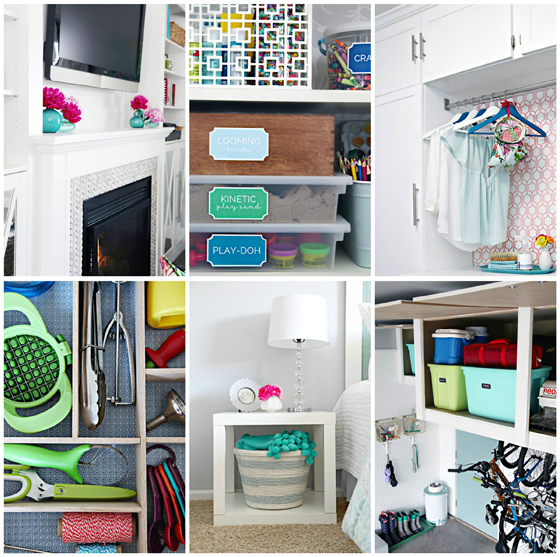 Now that we have shared our favorites, we would love to know your personal DIY and craft supply loves. What items would you feel lost without? 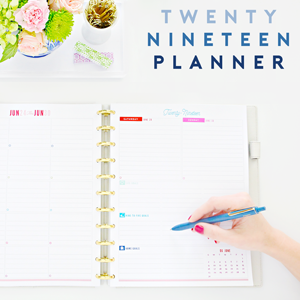 What tools do you find yourself grabbing for multiple times per week, month or year? Any other items that are game changers in your day-to-day projecting sessions? 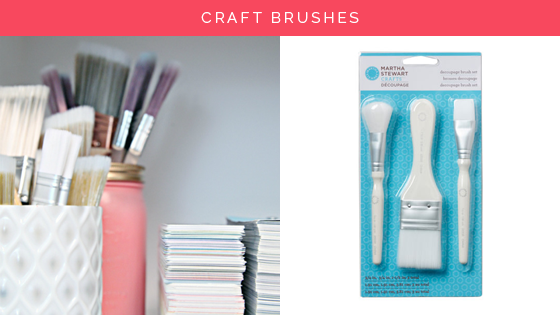 Find my favorite painting supplies here. I loved this post. So many fun tools. A few of these went on my Christmas list. I also have a Silouhette. I would love to see posts on some of your Silouhette projects. A post about your favorite ways to use the machine with example pictures would be a fun read. And very helpful to me! There is a lot I need to learn. I just came here to post this! I bought mine 3 years ago and it's still in the box :(. I don't even know where to start! Love the blog! This is a great post idea! I see I have a few requests for this, and I would love to put something together. :) xo! Yes please! Have had a silhouette since last Christmas that I really really want to use but am slightly intimidated about getting started. Would love some tips. Thanks for the info! It was very helpful as I'm getting ready to buy tools and start building furniture (from the Shanty 2 Chic girls). I love their work, such an inspiring duo! What a great, helpful post! Thanks Jen! 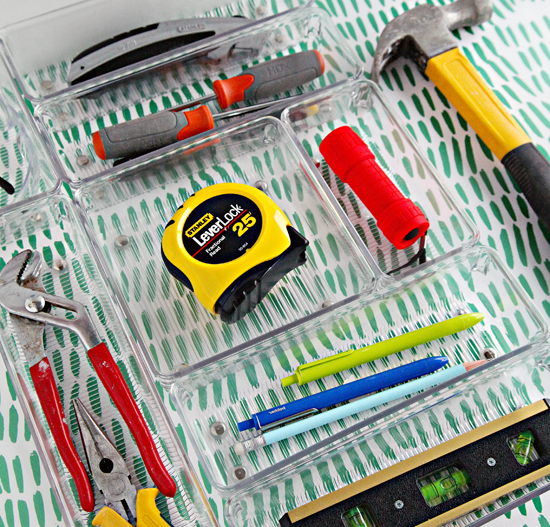 Can you share where you purchased the acrylic organizers you have in your small tool drawer? We have an odd sized drawer in our master bathroom vanity so I need the individual components to mix and match to fill the drawer but am having the hardest time finding them. Any help you can give would be greatly appreciated. In addition, the list of tools is very helpful. My husband has some of these but not all so this definitely gives me some ideas for his Christmas gifts this year. He's so hard to shop for and when I ask what he would like for birthdays, etc. he always says nothing. And I am happy you found some tool ideas for your husband. :) They make such good gifts! Love the list! What type of air compressor do you use to power your spray gun and nail gun? I am having major pen envy! I didn't even know they had a 30-pack and I thought I was hot stuff with my 20-pack. Once I wear these out I know what I'll be getting for myself. YES to all of these. We are huge Dewalt fans and that compound miter saw is amazing!! I'll have to look into some of these we don't have yet and look helpful. Thanks for sharing!! 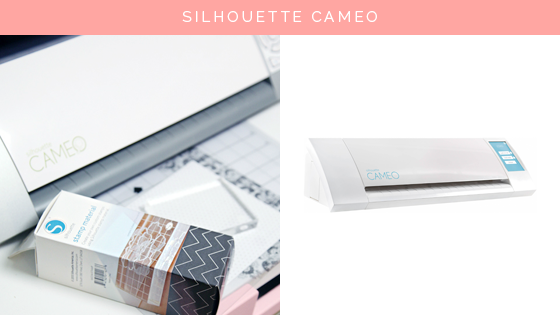 Why did you decide to get a Silhouette over a Cricut? The initial appeal for me was that Silhouette didn't require any additional cartridges or add-ons to use it, I liked having the flexibility to use fonts and graphics right from my computer. That alone made things much less overwhelming for me. I believe that newer Cricut machines no longer rely on a cartridge system, however, I am now hooked on Silhouette from years of using it. :) xoxo! Hi Jen, great post. We have almost all of these tools as use them alot. I'm personally in love with the mitre saw. Since I have been shown how to use it (slight aversion to anything that can remove my fingers accidently), I have mitred my way around my craft studio. Nothing is safe! I have a Silhoutte Cameo, and while mine is out of the box and I have attempted to use it a couple of times, I cannot, for the life of me, get great looking labels like yours. If you get a chance, could you do a post on how you make your labels using your machine please? I have watched so many videos but to no avail. Thanks again for the list. Sounds like this would be a fun post for a few of you, I will definitely add it to my list. <3 Thank you for the suggestion. If you use a sander or a saw, a shop vac is your friend too! Absolutely! Great point, we love ours as well! WHYYY have I never thought of using a paper cutter or a rotary tool & cutting mat to cut drawer liner?! THANK YOU for opening my eyes! Great list! We have and regularly use most of the same items...now if I could just get my hands on a silhouette!